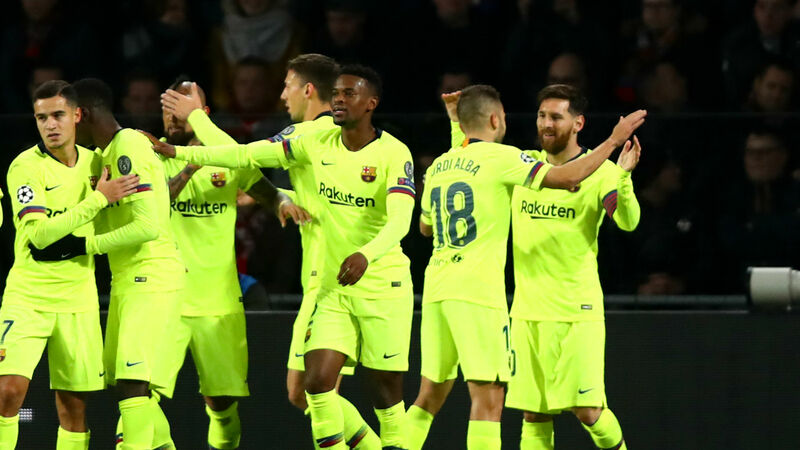 As part of a 15-year agreement between Spain’s top division and Relevent Sports announced earlier this year, it was proposed Barca would face Girona at Hard Rock Stadium in January. “The Barcelona board of directors have agreed to withdraw their disposal to play their game against Girona in Miami, after noting a lack of consensus over this proposal,” their statement said. And LaLiga issued a statement in response accepting Barca’s decision but confirming the deal with Relevant for matches to be hosted overseas is set to go ahead. “From LaLiga we want to congratulate FC Barcelona and Girona FC for their willingness to be pioneers in the voluntary intention to play a LaLiga match outside of Spain,” their statement said. “The LaLiga project with Relevent, signed for 15 years, continues. From the first moment we stated that participation in the game is voluntary and if FC Barcelona expresses its voluntary wish not to attend, this game scheduled in Miami can not be held on the agreed date. “From LaLiga we regret, as it could not be otherwise, the disappointment that may occur among our fans in the USA. We want to convey to all of them that, in the shortest possible time, LaLiga will play an official match in the USA, just like the major American leagues (NBA, NFL, MLB, NHL) outside their borders. The statement also noted LaLiga’s lawsuit against the Royal Spanish Football Federation’s opposition to the plan to play a league game abroad will continue.